You know, I am not really sure just how I got so far behind we are about up to date. Just one more of the double posts unless I manage to get off track again. Thank you so much for staying with me on this journey with it's unexpected side trips. 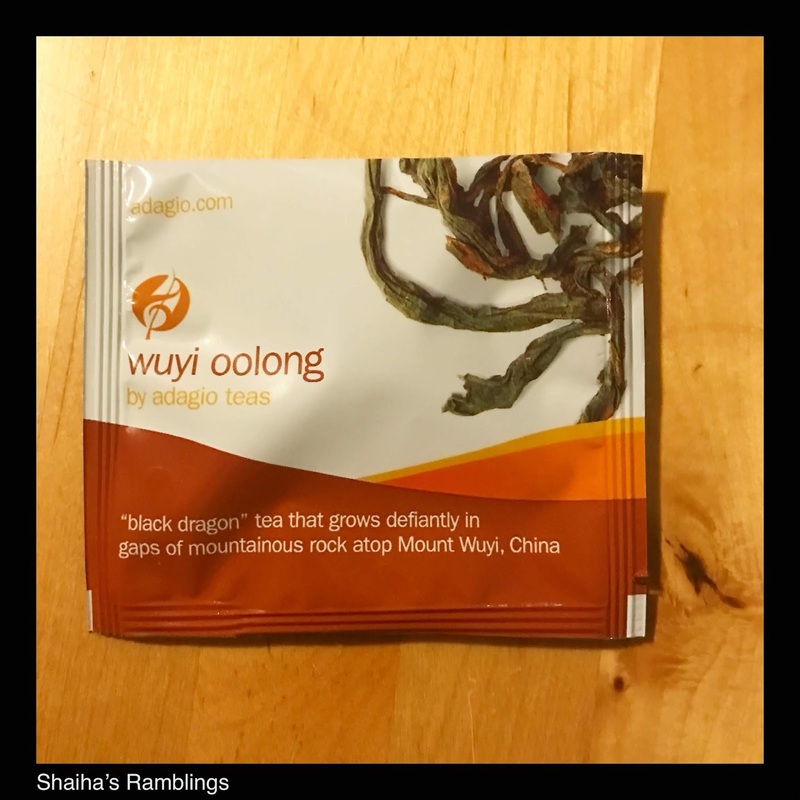 The next stop on our journey is one of my favorite teas, Wuyi Oolong. This is a rock oolong with the beautiful long leaves. This is another tea where it is almost impossible to find a decent cup in a tea bag. I quite enjoyed this oolong. It was lightly floral with a full bodied, rounded taste. There is a lingering aftertaste of minerals. This tea will become a must buy for me. My next tea is also right in my ballpark as Yunnans happen to be one of my favorite black teas. They are known for their bright peppery flavor. 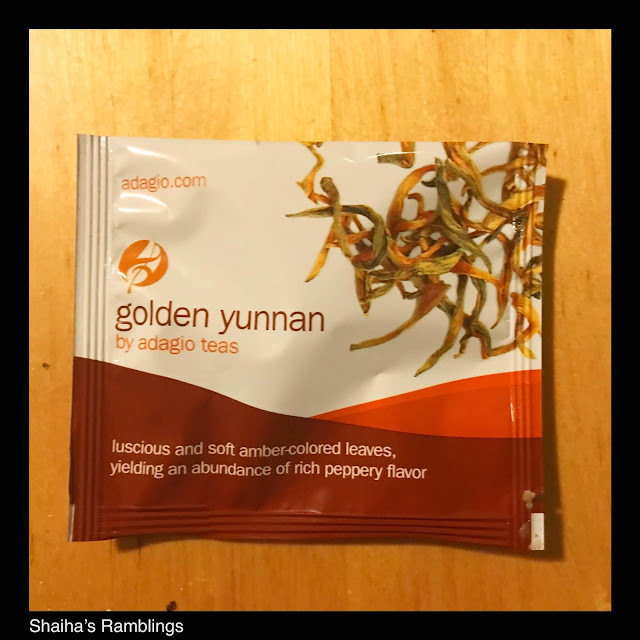 Adagio's Golden Yunnan is an excellent example of this variety of tea. I found it to have the rich flavors of stone fruit, tobacco and pepper. It's so smooth that this is a black tea that is really easy to drink without any additives. This is actually a tea that I plan on picking up in loose leaf because I can see myself drinking it by the pot. Now be sure to come back tomorrow for another cuppa tea.. I am enjoying your tea posts. I had not heard of yunnan before, but it sounds like one I would like. I will keep an eye out.